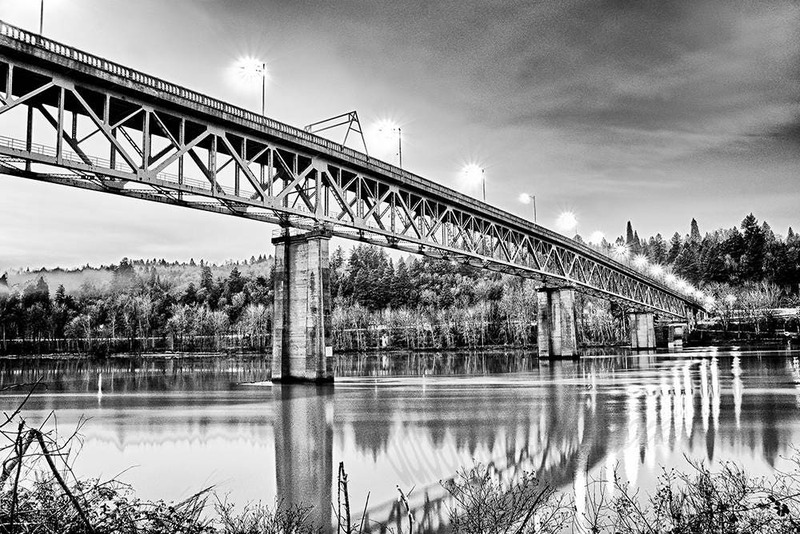 Lights atop the Sellwood Bridge in Portland, Oregon reflect in the calm early morning water of the Willamette River. This photograph was taken before sunrise from the East bank of the river. Image is 3832 x 2560 pixels.